ESPN+ had just over 1 million subscribers last September. In the past week, it added 568,000 more. That mammoth subscription jump was due to one sporting event: UFC Fight Night. The mixed-martial arts league made its ESPN+ debut on Saturday night with a handful of hotly anticipated bouts. ESPN says it saw 525,000 ESPN+ signups on Saturday alone, by far the biggest sign-up day in the streaming service’s history. ESPN and UFC signed a major rights deal last year. That deal will see ESPN+ get 20 ESPn Fight Nights per year, as well as the preliminary fights for matches that air on the ESPN linear network. The deal was seen as a coup when ESPN announced it last year, owing to UFC’s young and engaged fan base. The big question for the network is whether the UFC fans that signed up for Fight Night on ESPN+ will keep their subscription through the next one, or cancel and try to sign up again. ESPN+ is unique among streaming video services, with its exclusive focus on sports and an emphasis on live exclusive sports coverage. The risk is that sports is not for everyone; many of the best rights are locked into long-term TV deals. The reward is that sports fans will follow their teams and leagues to new networks or outlets, and will pay handsomely to do so. UFC, for example, routinely charges more than $100 for each marquee pay-per-view event. 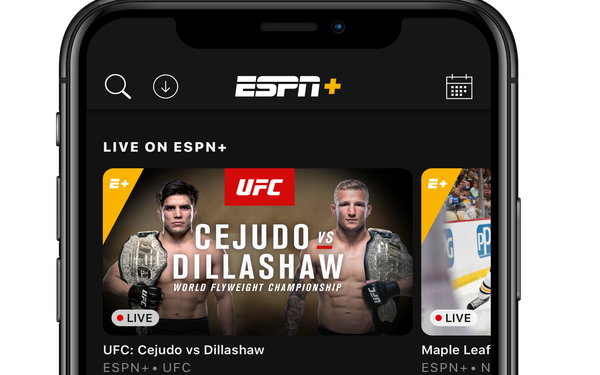 When ESPN+ passed 1 million subscribers, it was seen as a major step for the service.